If you are one of the unfortunate ones to never have experienced IllumiNations: Reflections of Earth before, you have really been missing out. IllumiNations is the story of our Earth’s history, its present, and the hope for its future, showcasing people, flora, and fauna. This fireworks, laser, and video show will be the culmination of your extraordinary day at Epcot. 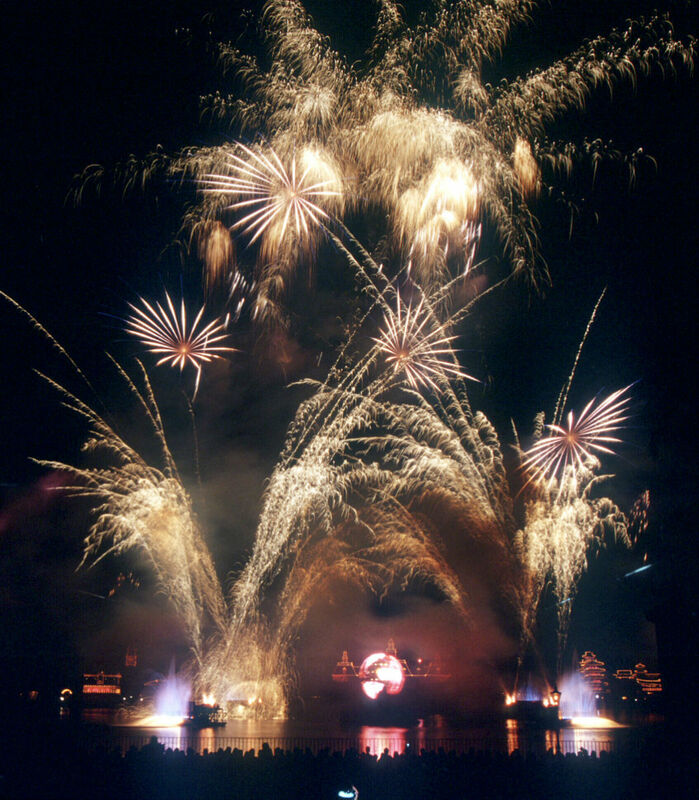 After visiting Future World and then stuffing yourself with wonderful delectables throughout the many countries around World Showcase, find a seat or standing area around the Lagoon and be prepared to experience pyrotechnic greatness. The only downside to IllumiNations is that I sometimes find it a waste of good Disney time to be camping out around the World Showcase hours before the nightly showing to get a prime viewing location. If this has ever crossed your mind or if you are just looking for that over the top experience, perhaps to celebrate a wedding, birthday, or anniversary, then you should try an IllumiNations Cruise. 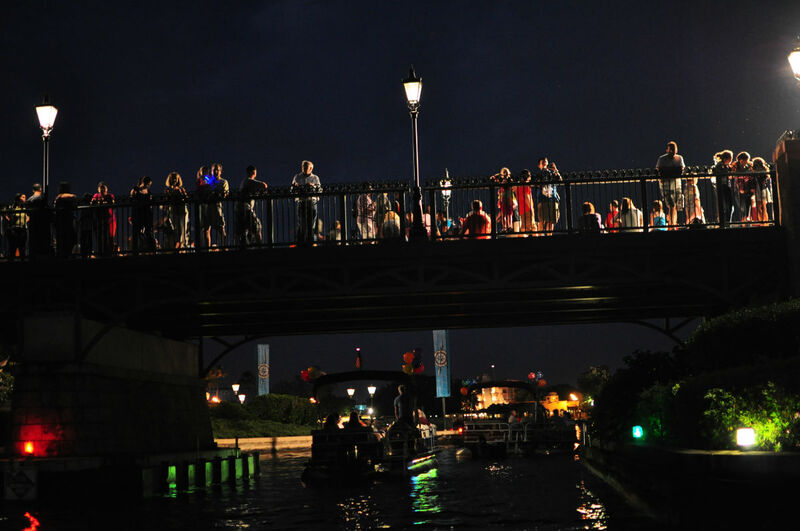 Offered nightly, the IllumiNations Cruise offers premier up close viewing of the IllumiNations spectacle from the comfort of your own pontoon boat. The cruise begins at the Yacht and Beach Club Marina about 30-40 minutes prior to the start of IllumiNations at Epcot. I suggest arriving a little before that in order to give yourself enough time to meet the rest of your party, check in at the stand, and make final payment. Once on board, your Captain will entertain your party with Disney trivia and knowledge while he takes you on a cruise of Crescent Lake past the Swan and Dolphin, looping past Hollywood Studios, back by BoardWalk and the Yacht and Beach Club, and ending under the International Gateway at Epcot facing the World Showcase Lagoon just in time for the start of IllumiNations. While on board you can help yourself to beverages such as water and sodas, as well as bagged snacks such as pretzels, popcorn, and chips. You can opt to upgrade your cruise to more of a private dining experience where items such as light appetizers, birthday cake, or champagne and strawberries are provided instead. To do this, however, you need to contact the Yacht and Beach Club at 407-939-3160 in advance. You may not bring your own food and drink aboard. You may also upgrade your cruise to a Celebration Package, which can include balloons and a banner for example. Arrangements should be made at the time of booking for this. At this point you may be asking the price. The IllumiNations Cruise costs $325.00, and although you are told there are no discounts at the time of booking, if you are a DVC member you get a 10%-20% discount at the window when you pay. Each pontoon boat can hold a party of 10; however, you are not required to have that many to book. You are asked for your party size to determine the number of snacks and lifejackets needed. You may call later and add on to your party if you find more people to join you. Children and adults are both welcome on the cruise. If you and your spouse would like to take an IllumiNations Cruise but really do not want to spend the $325 to do so, there are forums online where people may make arrangements to fill the rest of their party of 10 with others who agree to split the cost with them. You can gamble, like we successfully did, that someone else will post they have spots available on a night you wish to cruise, or you can be the ones who reserves the IllumiNations Cruise and looks for other passengers to join you. In our case, we found a party of four that was looking to fill the rest of their boat. We made contact, and both parties agreed. Because another couple could not be found, there were only 6 passengers on our cruise. But instead of spending the $325, we only had to spend $98 (plus tip for the Captain), which was a great savings! And the bonus? We made some new Disney friends, who we continue to keep in contact with. If you have interest in an IllumiNations Cruise book as soon as the booking window opens, 180 days in advance, by calling 407-WDW-PLAY and giving a credit card as a guarantee. There are only 4 boats, and they fill up rather quickly. To see what others are saying about the IllumiNations Cruise, visit http://forum.touringplans.com/ and search in the Walt Disney World Other section for IllumiNations. Horseback Riding at Disney? Yes please! The Most Highly-Coveted, Heavily Sought-After Disney Awards: TouringPlans’ 2012 Picks! One thing to note is that you do not need EPCOT admission to take an Illuminations cruise. Last year, we took an Illuminations cruise after a day at Animal Kingdom, which closed by 6 that night, and a dinner at the Yacht Club. It was a great way to extend the day. Hi, the forums link doesn’t open anything. Could you either fix the link or provide the section of the site to look for a post like that? Thanks! Please note she said “under” Int’l Gateway. Your boat will not be under stars or fireworks, but under a bridge. Also, your boat will be directly beside other boats; more privacy than the promenade, but not what you may be expecting. Finally, I would Google photos from this vantage point as the view isn’t great in my opinion. Not trying to be Debbie Downer, I just think this event isn’t quite what Disney makes it out to be. @Dean Finder, you make a really excellent point about not needing to be at Epcot that day, one I hadn’t even thought about before. Brilliant.